Hello everyone! It's wonderful to play along this week. I had a friend phone me last week to ask why I hadn't posted anything since October. Well, I'll be honest....I have been busy, busy, busy vacationing, watching my grand daughter and also working on the Sweet Sketch Wednesday Schedule. I have also had a two week set back with a cold but I'm much better now and ready to enjoy the holiday season. 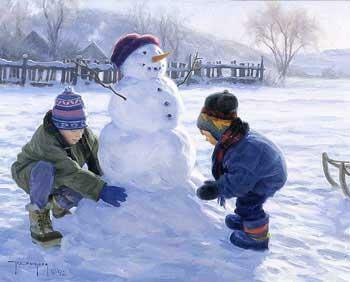 The image I used for today's sketch is "Frosty" from A Day for Daisies. 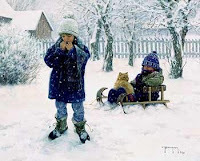 Doesn't it just flood your mind with memories of your childhood making snowmen with your siblings on a snowy wintry day? This image also reminded me of a Utah Artist, Robert Duncan. I'm sure you will recognize his artwork at Robert Duncan Gallery. These are four prints that I own and I just love them. So that is why I chose "Frosty" at A Day for Daisies. Hope you enjoy! 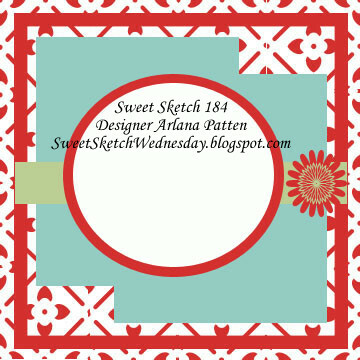 Here is Sketch 184 for this week's challenge. Thank you, Tammy, for sponsoring us at Sweet Sketch Wednesday this week! Your images are amazing and always touch that little emotional string in our hearts! If you haven't seen or heard about A Day For Daisies, here is some info about Tammy's site. $12 Gift Certificate to ADFD Shop. What a sweet shopping spree! Thanks for stopping by! I hope you have an enjoyable Christmas! Wow, I can see why you posted Robert Duncan's pictures along with your card. They do remind me of this image. I love snowmen anyway. You card is precious. Using the dollie behind your image is perfect. Have a good day Judi. 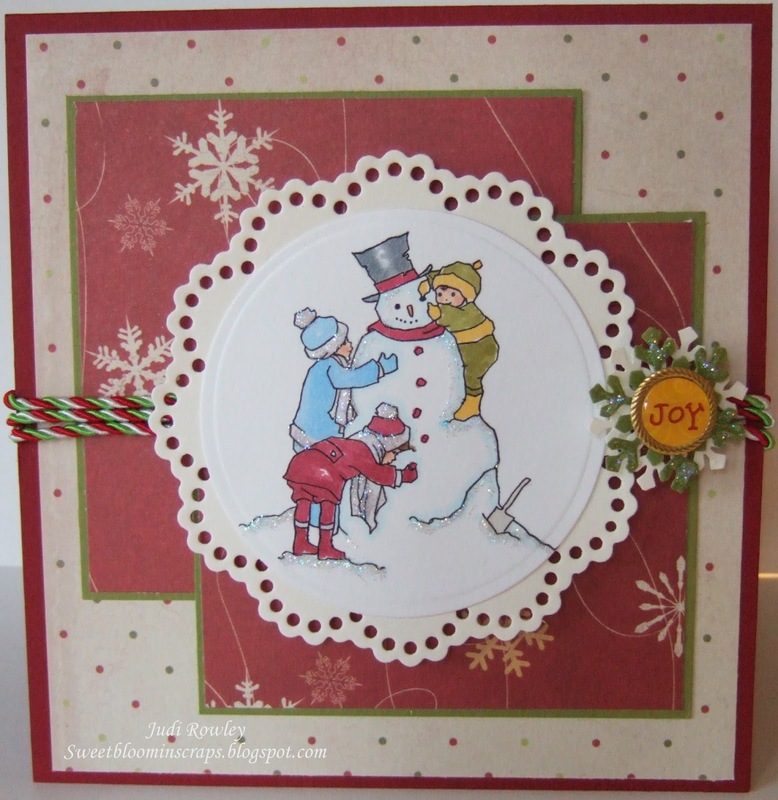 Hi Judi - always love to see your creations!! 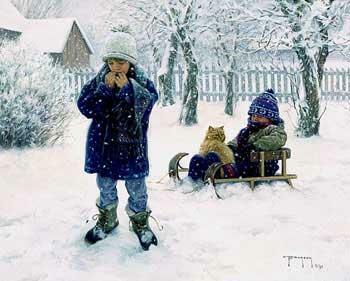 Such a cute image and it does bring back so many memories!! Wonderful post!! That image looks sooooo familiar Judi!! hehehe! How darling it is, and such perfect colors too. I love your lacy die too, looks like a big snowflake! Enjoy your week. Hi Judi so glad you feeling better, I've had a bit of a headcold but nothing much. Love your card and your Robert Duncan prints. Love your doily and Nancy's both are lovely. Your image is very cute and embellishments are perfect. When I was little I always wondered why Christmas cards we received in the post had either snowmen or streets with snow and people dressed in winter coats hats and gloves and we're basking in sunshine and swimming. Once I grew up a little more I realised why!! Take care and have a wonderful week. Merry Christmas. Your card and image are super cute. Love the prints, they almost look like photos. What great red and green cording. Have a super week. It is too funny that we have gifts for the fur babies but not our family. LOL! 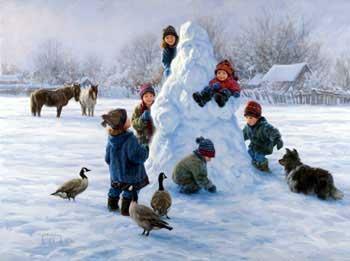 How fabulous this adorable image is and it's similarity to your beautiful Robert Duncan prints. Your card is breathtaking with the colors, the cording, beautiful papers and that wonderfully embellished snowflake. So good to see you taking a minute to create and share your talent again Judi! Such a great image this week (I TOTALLY did not see that one!) Sorry to hear that you are sick. Hope that you get to feeling better -- soon!